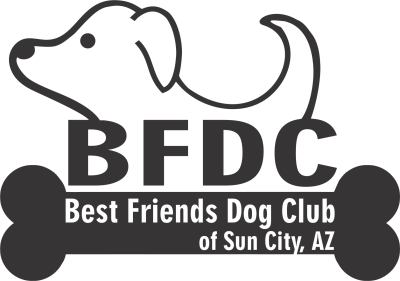 The Best Friends Dog Club is a social club focused on providing a positive, courteous, dog-friendly environment for RCSC members in good standing. The club is dedicated to education, training, and fun activities for both dog owners and dogs, regardless of origin, breed, size or age. We benefit the dog owners and the entire Sun City community by providing better socialized dogs, and more responsible dog owners. We educate people to care for and handle their dogs for their mutual love and enjoyment. We provide social activities for dogs and dog-owners. We offer training programs for dog owners with their dogs.